a. 1.5 Point about litter has been removed. b. 1.6 renumbered to 1.5, amended to state one female member per team. c. 2.1 & 2.2 altered from long-sleeved shirt to polo/t-shirt. d. 2.4 altered from evidence required for prescription goggles to a pre-agreement with Judges in Club Captains’ briefing. e. 2.7 requirement of a towel for after the incident has been removed. f. 2.8 renumbered to 2.7, altered to not include towel requirement. g. 3.1 removed the requirement for S&J teams to consist of 4 competitors, and Rookies of 6 with 4 competing at any time as this is now 4 at all times. h. 3.2 removed restriction on diving and tumble turns at the shallow end as there is no shallow end of the pool. i. 3.3 renumbered 3.1, amended to state that glasses are not allowed. 1.1. The judges’ decision is final. 1.2. Do not argue with the judges. 1.3. All lifesaving techniques must be in accordance with the latest edition of RLSS manuals (Survive and Save). 1.4. Anyone found damaging property or the building in any way will have their club disqualified from the competition and will be charged for any repairs necessary. 1.5. Teams should consist of four members with at least one female member. 2.1. Males – Full length trousers and polo or t-shirt over swimwear. 2.2. Females – Full length trousers or below the knee length skirt and polo or t-shirt over swimwear. 2.3. No Shorts, Vests or Crop Tops. 2.4. Goggles are not allowed unless they are prescription and must be pre-agreed with a judge during the Club Captains’ briefing. 2.5. No coaches/non-competitors are allowed in the changing rooms during isolation. 2.6. Pool shoes, trainers or flip flops must be worn at ALL TIMES in any area of the facility which is not the poolside. 2.7. Any team to be found not in the possession of relevant footwear for each team member will be disqualified from the event. 3.1. Goggles are allowed. Contact lenses can be worn at owner’s discretion. Glasses must not be worn whilst in the pool. 3.2. The penalty for any participant during any event will be a minimum of 10 seconds per infringement up to disqualification. 3.3. Every effort will be made to keep the deduction of penalty points to a minimum. Outright disqualification will only be used if there is a deliberate attempt to gain unfair advantage by an unfair act or unless otherwise specified in the event rules. 3.4. Only competitors and coaches are allowed on the pool side. 3.5. At no time in the competition shall a subject assist the competing teams in any way. 3.6. Keep clear from the edge of the pool while a race is in progress as judges need access to the edge of the pool. Not keeping clear from the edge of the pool could subject the individuals involved to a club or team based disqualification relevant to the number of persons involved at a given time. 3.7. Teams and spectators must be quiet for the start of each event. Any team found in breach of this rule is subject to disqualification under the starter’s orders. Any spectators found to be non-compliant may be asked to leave the spectator area and the club they have come to support may receive a penalty for the event or whole competition. If you have any queries or issues to raise please email -- competitions@sheffieldlifesavingclub.org.uk -- before you enter the competition. Any queries or issues you have on the day should be raised in the Captain's briefing before the start of the competition. The Head Judge's decision is final and we ask that you please respect that. Please do not click I Agree without reading the Declaration below. 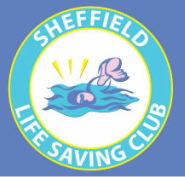 - I the Club Captain have read and understood the rules and regulations set out for the 32nd Sheffield Lifesaving Club Competition. - I the Club Captain have explained the rules and regulations to my team members/swimmers and spectators and have made sure they understand them. - I the Club Captain, We the Swimmers and We the Spectators will abide by the rules set out below and understand that by breaking the rules a team or club could receive penalties or be disqualified from an event. -I the Club Captain take responsibility for my team and their behavior whilst taking part in the competition.